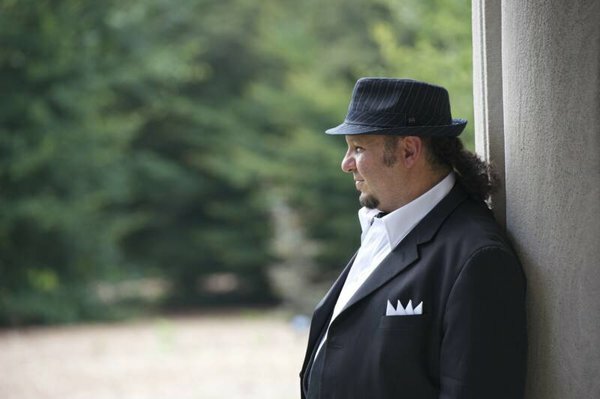 Among the many guests I have been blessed to interview on THE ITALIAN ART OF LIVING WELL (wnhu.net), Micheal Castaldo is perhaps among the most memorable. 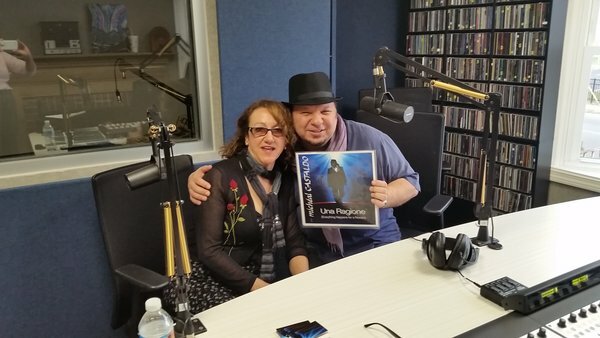 Some time ago, I had chosen one of this artist’s hit songs, “Calabrisella Mia”, as the theme for my program, for the same reason I recently insisted he come for a live interview at my studio. Simply put: Both his music and his personality transmit the gift of inspiration. People tell me they wake up to my show on a Monday morning and the first thing they experience is Micheal’s uplifting energy through song. And that pretty much describes this maestro. Our interview was no exception. Driving in from New York City well before the crack of dawn for a 7AM show in Connecticut, Michael arrives with his characteristic fedora (a prop he admittedly uses to dispel negative stereotypes), a scarf wrapped loosely around his neck to protect those precious pipes, and above all—with his easily identifiable beaming smile. It mattered not that he had to lose half a night’s sleep to be here on time. It mattered not that his GPS…as they sometimes do…took him on twists and turns that led him into another city completely. As with everything in his life Micheal embodies the Italian arte d’arrangiarsi (the capacity to get by, no matter what), and calmly redirects himself back onto the highway and arrives at the studio with time to spare. And with that unforgettable smile. No wonder he is touching the hearts of a huge growing wave of fans all over the world. They find him to be refreshingly genuine, accessible, extraordinarily talented, respectful, polite, and above all, passionate about giving to others. And what I admire most about what Micheal does through his music as well as through his other ventures—is the pride he exhibits unabashedly in his Italian cultural heritage. During our interview Micheal is quick to laugh, share his stories, and even get choked up when he talks about the altruism and inspiration he got from his mother and father. He also readily acknowledges the Italian wisdom he gleaned from his ancestors, whose principles continue to guide him through life. 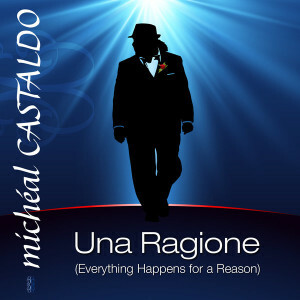 On this day Micheal Castaldo is here to talk about his latest release “Una Ragione”, the Italian version of “Everything Happens for a Reason”. Does everything really happen for a reason I ask him? Even the tragic moments in our lives? Micheal tears up as he formulates his reply. “I want everyone to know, that no matter what they are going through, there is always hope; there will always be a better day, a brighter outcome. I want to inspire all ages, from the children who are orphaned like the one my own parents adopted and raised—to the elderly infirm and everything in between. Apparently, the public has resonated with his message. “Everything Happens for a Reason “, recorded in several languages, including Italian, Bilingual, and English—is also a hit on YouTube with subtitles in numerous languages—Spanish, Chinese, Swedish, Persian, and Polish—just to name a few. Delivered with a combination of his exquisite vocals and emotion that can only come from the heart, Micheal is a true role model for every person who has a dream. He is achieving his and inspiring us all to reach for ours. Has it been an easy road? Not always. But adds Micheal: “If you remain true to who you are, develop your skills, and are willing to work hard especially through challenges you may not understand, you can achieve your dreams, too.” Keeping in mind, of course, that Everything Happens for a Reason. Micheal’s digi-single will be available for download on May 5th. Written by, Dr. Raeleen D’Agostino Mautner – a self-help/personal development expert, speaker, certified Life Coach, Psychology Instructor, and Producer and Host of “The Art of Living Well”, Connecticuts “hottest self-help radio show” on 88.7FM or streaming www.wnhu.net, Mondays 7-8AM. Mautner is the author of two books, including “Living la Dolce Vita: Bring the Passion, Laughter, and Serenity of Italy into Your Daily Life”, has been quoted in many publications, including Family Circle and First for Women. She has written for Psychology Today, The Chicago Tribune, Quirks Market Reearch, The Italian Tribune, America Oggi, and Italian America. Dr. Mautner has made guest appearances on numerous national radio and TV programs. Her self-help blog has become a treasure trove of inspiration, motivation, and new ideas for living well. 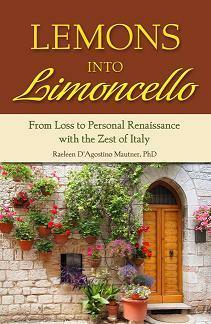 Dr. Mautner’s recent book published by HCI is called “Lemons into Limoncello: From Loss to Personal Renaissance with the Zest of Italy”. This extraordinary book will help ease recovery and renewal for readers who are going through loss, change, or transition and is all about rebuilding your life following adversity. The cultural wisdom, comfort, and (extra)ordinary Italian lifestyle habits presented can help you re-establish your passion for living. 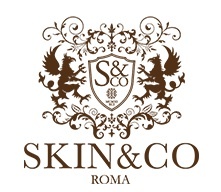 This is a highly rated and recommended book by Italia Living’s Founder & Executive Director, Richard J. Michelli. Singer Giada Valenti Does Fundraiser to Bring Venetian Romance to the U.S.